Imagine that you are in a colorful world where everything has a bright rainbow color. There is nothing to do with the same type of survival because the terrain consists of all the colors of the rainbow. It is unlikely that you will find something useful as all layers are formed from colored blocks without resource inclusions. So do not forget to take everything you need from the chest for a quick start and survival. 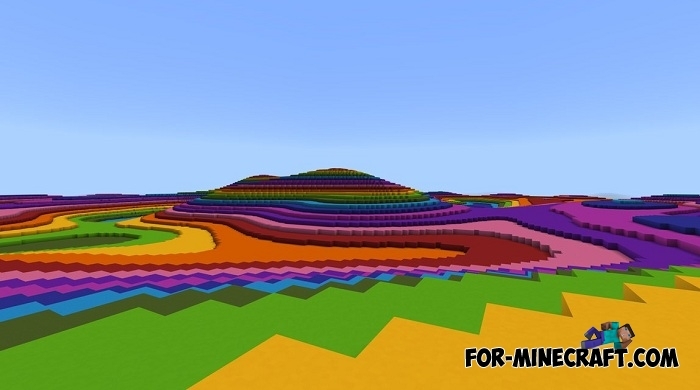 Even without clear rules, Rainbow Terrain is uplifting and makes you think a bit about how to survive and what to do in this magical place. 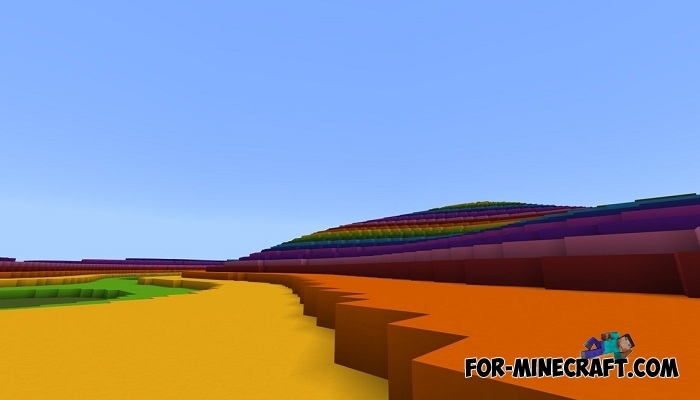 Super Flat Layers mod for Minecraft PE 1.2/1.7A very convenient and very useful modification, any mapmaker will fall in love and never remove it..